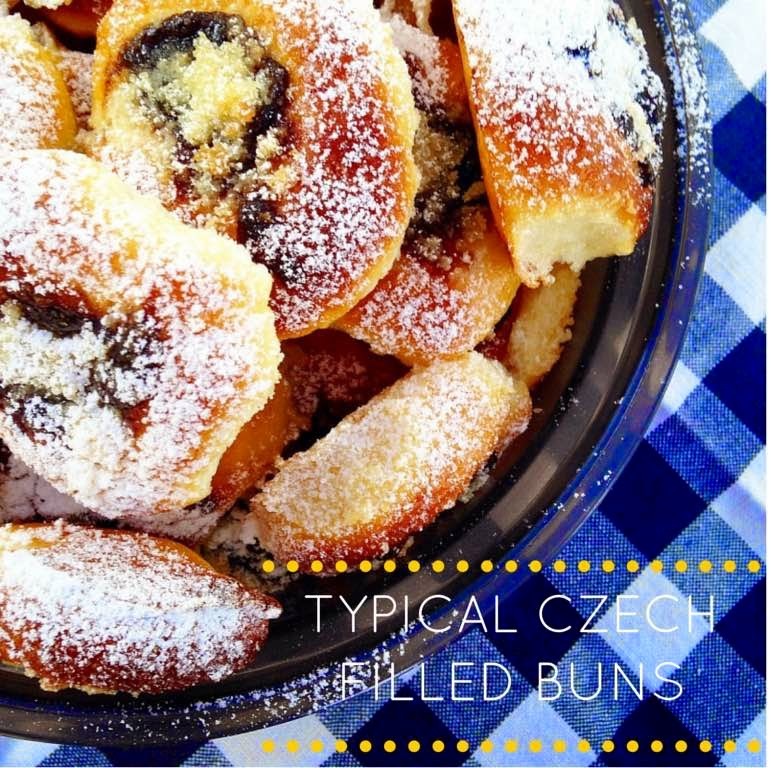 Czech classic buns can be very tasty sometimes. It is fine to try violet cheesecake and other original desserts. However, nostalgy is a powerful tool and grandma´s baking always finds a child inside of me. It is cold outside. Summer is gone and maybe even fall will be here any minute. I take out first sweaters and coats. This is such a classic Czech pastry. If you eat them warm .. fabulous! Dough - prepare yeast, milk, four tablespoons of flour and sugar spoon. After 15 minutes, add the rest of ingredients and produce soft but non-sticky dough. Let it rest for about half an hour. Curd filling - in a bowl, mix all the ingredients, as well as the ingredients for plum filling in a second bowl. Preparation - make nice buns, filled with the filling and springle them with the crumble on the top. Finally, pour the with the egg yolk. Bake buns at 200 degrees, until they have a gold color. I did not stop it, buns had different sizes.